Jason Ridler had quite a year in 2013. His reflections are here. One of the things I do to earn part of my living involves technical writing inside a certain specialist industry. I pitched a project last summer that the people close to me were enthusiastic about. Nevertheless it died on the vine when it was kicked upstairs. I am aware I am supposed to feel affronted and protective over the outline. I don’t though. Probably people will tell me I am foolish. I don’t care. 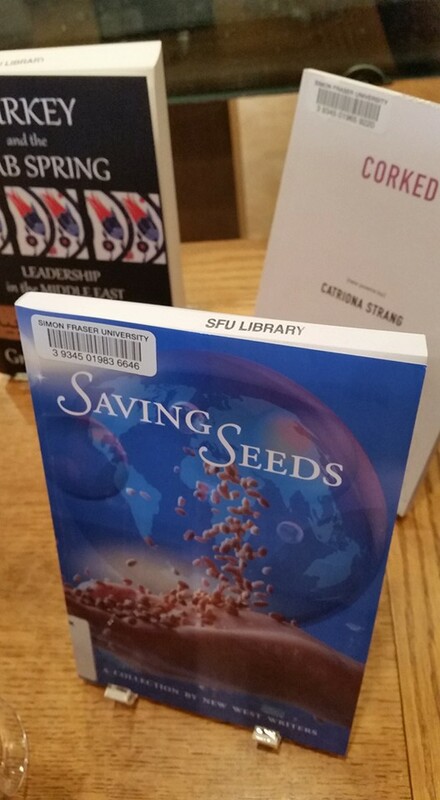 Saving Seeds is officially in circulation at the Simon Fraser University library. A selection from Blood Rain is cheek-to-jowl with the work of Joanne Betzler,Val Mossop, Gomathy Puri, Jen Ryan, Tabatha Visutskie, Valerie Parks, Toni Levi, Julian Worker, Lana Hill, David E Burnell and Fauzia Rafique. 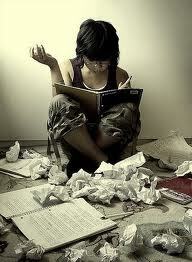 A look at how writing affects the brain. This image belongs to dreamstime. Can writers create successful character when they write across gender lines? (Whatever those might me . . .) Michele Willens in The Atlantic checks in . . . If you are like me, when you have writer’s block you might like to amuse yourself by creating order (you know, classifying all the office supplies in your desk according to Darwinian principles, arranging your shoes into family groupings. You don’t do that? It beats, you know . . . writing) This fellow entertained himself by creating a taxonomy of writer’s block types. Basing characters on real people? Considering basing a character on a real person? You might like to read this first . . . The enneagram is an ancient heuristic for human personality. 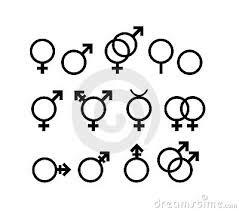 It’s akin to astrology and numerology and tarot cards in terms of its verifiability (that is, it’s not science, dudes. It’s not even social science). Nevertheless, it’s a useful framework for understanding human personality from the perspective of character development. Writers can use it as a launch pad for explorations into motivation and character traits. Dave Wiseheart has written a book about this called How to Write Great Characters: The Key to Your Hero’s Growth and Transformation. The e-book edition is on for 99 cents right now at Amazon. What do you use to develop character and motivation? What’s the word for a parent whose child has died? This article discusses ‘missing’ words in English. For example, the word for a child whose parents have died is “orphan”. However, we do not have the mirror image word, a single word that dennotes a parent whose child (or children) have died. Suggestions? There is a software program that help writers with character development called Persona. Is it a good idea? Would you use it?